THIS IS A RICHARD ARMITAGE MEGA POST - Oh No They Didn't! Richard Armitage is getting used to people giving him a strange look when they first meet him. The British actor stands 6-foot-2, which is not what you’d expect of the guy who plays Thorin Oakenshield, the warrior leader of the dwarves in The Hobbit: An Unexpected Journey, the first part of Peter Jackson’s planned movie trilogy. 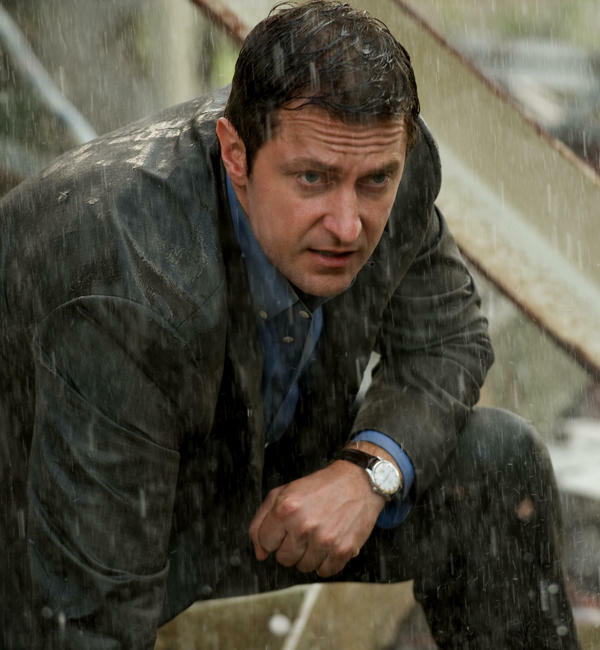 Armitage, 41, can roll with just about any role, playing characters both good and evil. He briefly joined a circus in Budapest as a teenager and his early theatre work was mainly comic roles, singing and dancing in shows such as Cats. For that musical, he played the villainous Macavity and the shy Admetus tabbies. He later made a deliberate shift into more dramatic roles. Prior to signing on as gnarly good guy Thorin for The Hobbit, he played the slick saboteur Heinz Kruger in Captain America: The First Avenger. Armitage has also becoming something of a self-made Tolkien scholar. He’s immersed himself in any and all books by and about the quiet English creator of Middle-earth lore. How does being leader of the dwarves fit into Armitage’s worldview? “It depends how you see it,” he answers. Q: You look more fearsome as Thorin than you do in real life. A: I know! It’s kind of a good look. It’s because (Thorin’s) brow is not real and I also wore a prosthetic nose. That’s how brilliant (Jackson’s effects company) Weta Workshop is. They’ve really made it look like my own face. It gives Thorin slightly more intenseness, because his brow is heavier. Richard Taylor, an amazing sculptor for Weta, did about seven versions of my face. He actually straightened my nose without telling me. Close to the end of the shoot, he told me about it. I told him I didn’t even know my nose was wonky, and he said, “Yeah, it’s about three millimetres to one side of your face.” Apparently, the perfect face is not symmetrical — or is it the other way around? Who wants the perfect face, anyway? Q: You started out in musical theatre, dance and the circus. Is true you decided at an early age that you wanted to do more dramatic roles, and made a deliberate shift in that direction? A: Yes, I just felt I wanted to use my voice to speak text. I love poetry, I love Shakespeare, but musical theatre just wasn’t quite enough for me. I wanted to delve a bit deeper. I was always being told, “Smile and look like you’re enjoying yourself!” And I wondered, why am I not smiling and why am I not enjoying myself? Maybe it’s because I’m not enjoying myself! But I must say that for The Hobbit, I’ve actually called upon something from every job I’ve ever done, even the singing. You can’t reject anything in your life as an artist. Everything has its use. Q: Is the second part of The Hobbit movie trilogy really going to be called The Desolation of Smaug? I just can’t picture than on a marquee. A: Yes. That was Tolkien. He described it that way. The dwarves stand and observe this utter destruction caused by the dragon Smaug. I visited Hiroshima once when I was in Japan and went to the museum there and I remember seeing images and thinking, when we came to shoot The Hobbit, that it was quite a good image to use. It had to be that extreme: the furnace that is that dragon incinerated everything. Q: I’m impressed by your dedication to remaining true to Tolkien. A: I read everything that Tolkien wrote, and also read biographies of him. I was fascinated by his experiences in World War I, which includes the loss of life of some of his very, very close friends. I think he writes about that a lot in The Hobbit and The Lord of the Rings. The idea of a very small man who loves his home being called upon to step out of his front door into extreme danger is something only his generation will ever experience. 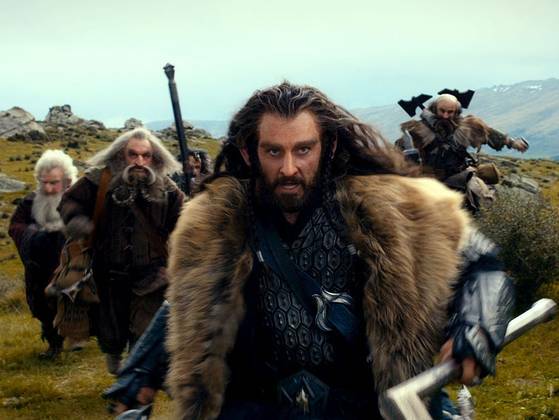 The 6-foot-2 actor had to "shrink' to play dwarf warrior Thorin Oakenshield. In Richard Armitage's case, the shoes indeed make the dwarf in director Peter Jackson's The Hobbit: An Unexpected Journey. For a span of 240 production days that wrapped up this past summer, Armitage trudged around New Zealand in his unique footwear while filming the just-opened movie and two more Hobbit chapters: next year's Desolation of Smaug and 2014's There and Back Again. The 6-foot-2 British actor plays Thorin Oakenshield, a dwarf warrior on a quest to take his land back from the evil dragon Smaug. And thanks to some movie magic, Oakenshield is a full foot shorter than the guy playing him. Armitage liked his boots so much, he jokes that they'll soon take the fashion world by storm. "They are the most funky things you've ever seen," Armitage says of his gear, made of leather and fur and featuring a three-inch steel toe cap. "You had to learn how to run with effectively what felt like concrete blocks on your feet. You had to make that look natural." Orlando Bloom wore elf ears for his breakthrough role in Jackson's The Lord of the Rings series, and the Hobbit footwear may do the same for Armitage, who could pass for a blue-eyed James Bond underneath all of Thorin's facial prosthetics and hair. "When we knew he was the guy we wanted, I was worried that he was going to have a hesitation about playing a dwarf," says Hobbit writer-producer Philippa Boyens. "But he didn't at all. He got it." In The Hobbit, Thorin and his people are exiled from their home on the Lonely Mountain when Smaug attacks and takes their treasure, including the rare Arkenstone. He leads a company of dwarves on an adventure to reclaim their land with the help of the wizard Gandalf (Ian McKellen) and the hobbit Bilbo Baggins (Martin Freeman). 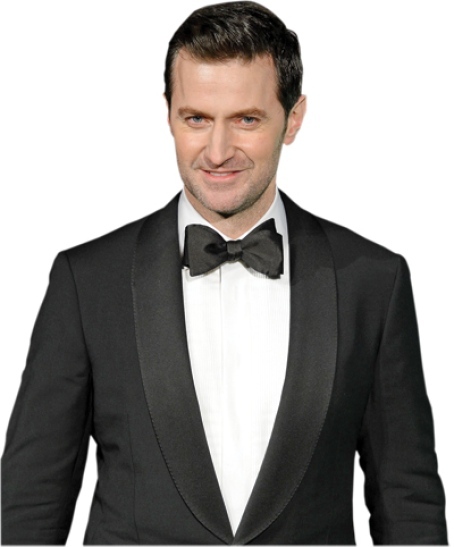 Armitage, 41, was the youngest man producers auditioned for the role of Thorin, since the character in J.R.R. Tolkien's book is much older — and a lot shorter — than the actor. However, Jackson needed a Thorin who could be a fierce warrior as well as a king, Armitage says. He tapped first into Thorin's nobility and pride — "I have a bit of pride, which is always my downfall" — but Armitage was also interested in a character who was a leader but at his heart had a deep-rooted anxiety of failure. "He's a legendary warrior, but he fears that dragon. He knows what's in the mountain. He fears the dragon's sickness," the actor says. "He isn't king yet, he may never be king, but he has to take on that status of 'I can be your king.' But inside of him is this absolute fear that he's not going to be capable of doing it." Thorin isn't Armitage's first Hobbit role — when he was 11, the Leicester native read the book for the first time and played an elf in "a relatively low-budget stage production. Gollum was made of paper and the dragon was a light and a puff of smoke." He feels that first exploration fed his imagination, which led to reading The Lord of the Rings. At age 17, joined a circus in Budapest for six weeks in order to get an equity card and become a professional actor. "That was one of those jobs that required stamina," says Armitage, who would throw hula hoops and batons as part of the physical-theater group. "Whatever I lack in talent I have in stamina." It came in handy for those long days in Thorin's trademark footwear. "The boots give you a way of moving," Armitage says. "There were times where they said, 'You don't need to wear the boots for this scene because it's only a mid-shot,' and I was like, 'I can't do this character without the boots on.' "
Boyens was excited that Armitage could sing, a boon for the dwarves' plainsong tune that helped the actor start every day of filming. But even more important for her was that Armitage, like Thorin, exuded decency, strength and goodness, but with a slight dark obsession underneath. "There's a self-awareness of it, too, which is really interesting because that's also the character," Boyens says. "He's got real depth, genuinely, as an actor. He's just going to keep getting better and better." Other than a small role as a Nazi villain in last year's Captain America: The First Avenger, Armitage's face is mainly known in Britain for his roles on the British shows Robin Hood and MI-5. However, he's pleased that three Hobbit movies could potentially let him show more movie fans the man who makes the dwarf. "It's exciting to know they'll see a side of my work that's new to me as well," says Armitage, who stars in next year's tornado thriller Black Sky. "I love it when people are surprised and they're like, 'Oh, it's you who plays that little 5-foot-2 hairy guy.' "
RICHARD Armitage may play a dwarf prince and warrior in Peter Jackson’s The Hobbit: An Unexpected Journey but the British actor is 188mm tall in real life. 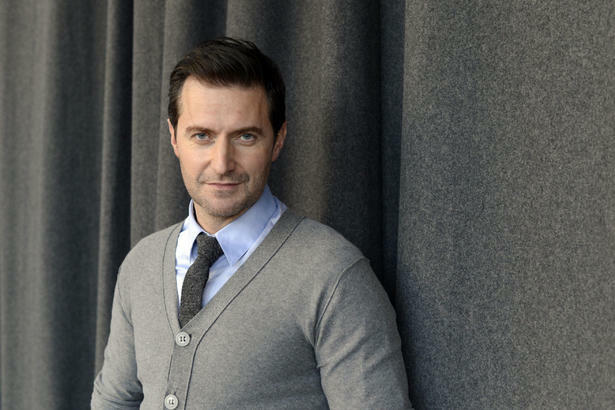 “I was very surprised when I got the call to play a 157cm dwarf,” says Armitage in an interview in New York recently. 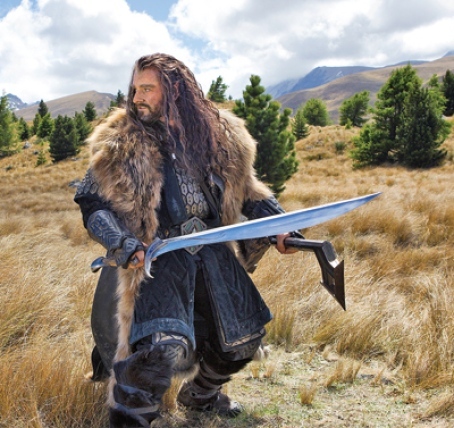 For his character of Thorin Oakenshield in The Hobbit (now playing in cinemas), Armitage was given padded costumes to made him look bigger. His shoes also added more centimetres to his height. However, thanks to filming technology, Armitage and his cast mates (who also wore padded costumes) were “shrunk” on camera. Armitage started his career in musical theatre but had worked in TV and films. He also starred in Captain America: The First Avenger, and numerous TV series including Robin Hood, Spooks and North & South. In The Hobbit, along with Gandalf The Grey (Sir Ian McKellen) and Bilbo Baggins (Martin Freeman), Thorin and his league of dwarves tread on treacherous ground to try to recapture the lost kingdom of Erebor from the foul dragon Smaug. 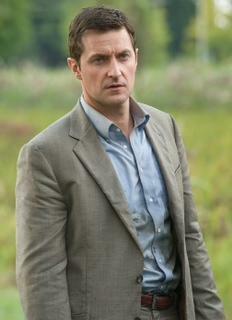 Before shooting began, Armitage says he met up with Freeman for dinner. The latter had apparently read his script, but Armitage hadn’t. Freeman just looked at him and said, “Oh, you’ve got a lot to do,” sending him into a sort of panic for a moment. 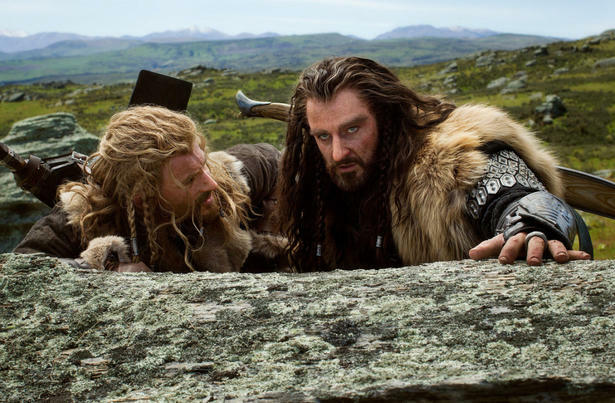 Armitage soon came to realise that Thorin is no fun. “The dwarves would be having fun, but when he enters the room, everyone goes silent. He’s a bit like me actually,” he admits. He adds that he did look for moments when Thorin would laugh or smile although these were few and far between. Read on for more of the interview with Armitage. What did you think when you first read the script? I was interested in the antagonism between Thorin and Gandalf, which is largely due to Gandalf’s inclination towards elves. Plus, the relationship between Thorin and Bilbo is more vivid than in the book. The screenwriters were focusing on a relationship that could possibly evolve or deteriorate. Do you think Thorin is a good or bad guy? I think he’s a good dwarf. He has nobility and honour. The floor that runs through him is this susceptibility to gold, which will consume him with greed and drive him insane. He knows it’s his destiny and it redeems him in a way. It sounds serious but it’s fun! (laughs). It’s fun to play Thorin and hunt for the Arkenstone. It’s like a treasure hunt. Were you awestruck or afraid to enter the Tolkien universe? No. I was like a kid. I couldn’t wait to get in there. There are two versions of the Bag End (Bilbo’s home) set. One is a Hobbit-sized, and another Gandalf-sized. The detail is just mind-blowing. Everything was custom-made for the films. It was like being a child stepping into wonderland. I had to tell myself, “Okay, now concentrate on Thorin. Stop being mesmerised by Middle Earth”. Tell us about your training. We worked with a stunt team to determine what kind of weapon we would use and how we would use it. The training regime worked around that. For me, it was about strengthening my spine and forearms, so that I could wield the Orcrist (Thorin’s sword). What was it like working on a big-budget Hollywood film? Interestingly enough, when you work with green screen, you’ll feel much closer to theatre. Although we were surrounded by green screen, I honestly don’t remember looking at it. My imagination was filling the screen with what was being described to me. Azog (the pale white Orc villain) is a perfect example. I hadn’t known how he was going to look like, but Peter had described it to me. In my head, that’s how I imagined him to be. Was it fun working with Ian (McKellen)? It was nerve-wrecking. It thought he was going to think that I’m utter rubbish. On our first day of working together, I was so full of fear but he helped solidify my character, in a way, by demonstrating how Gandalf would react to Thorin. It’s like playing tennis with the best player in the world. When he serves the ball, it will send me to the end of the court but it will also make me a better player. He has this strong presence, an aura, you could say, that makes everyone stare in awe. I was in the cinema to watch the film. When he entered, the audience hushed up and watched him, completely awestruck. You know what I mean, right? What do you think of Martin (Freeman)? He’s fascinating. He works in a completely different way than anyone I’ve worked with. Ian once said that Martin experiments in front of the camera. For a particular scene, Peter (Jackson) would have (Freeman) say a word over and over, and Martin has this incredible ability to do it differently each time. Even when he doesn’t have any dialogues, it’s mesmerising to watch him act. What did you think of the 3D effects? The first time I saw it, I was speechless because there was so much to see. And it’s seductive. At times I forgot to listen to what was being said because I was mesmerised by Cate Blanchett’s (as the Royal Elf Galadriel) costume wafting around. Of course, I needed to see it again. The second time, I told myself to focus on the story. And when the (giant) eagles come, my eyes were welling up because you can see their feathers fluttering in the wind and it was just beautiful. I love the fact that Peter is pushing cinema forward to get people to to watch this film. What was it like to shoot in New Zealand for 18 months? For his role as Thorin Oakenshield, the leader of the dwarves in “The Hobbit,” actor Richard Armitage does it all: He sings, he wields the Orcrist sword, and he wears eyebrow prosthetics. Armitage, 41, says that by the end of filming, he nearly lost all of his natural eyebrows, since removing the glued-on fake ones daily caused him to lose hairs. He also had to learn to use the long, curved Orcrist sword with its Elven blade.